It's Saturday!! You know what that means!! 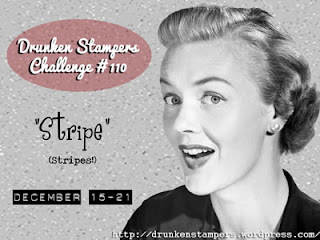 Time for another Drunken Stampers challenge! This week Team Flirtini (& Barb) are comin' at ya with a stripe challenge. Visit the DRUNKEN STAMPERS BLOG for all the details on this challenge, we'd love to have you play along with us! !